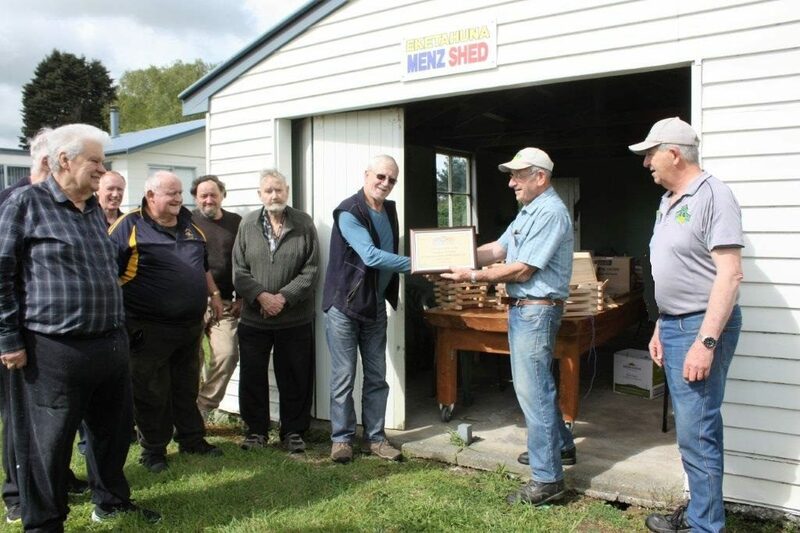 Eketahuna a close knit village in the Tararua District with a population of 440 residents and now a functioning Mens Shed in partnership with the Eketahuna Health Centre and Henley Mens Shed. The blokes are fitting out a single car garage as their workshop right next to the community rooms and kitchen in the health centre as the hub of activities. Fellowship and wellbeing are the focus, with time available to assemble kitset products supplied by the Mothership. Two sheds working to help each other.